Mindfulness and meditation play a key role in my approach. Mindfulness focuses on the separation between thoughts and feelings. 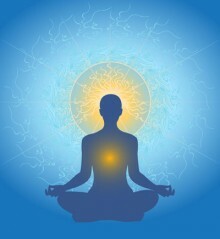 The idea is that, by focusing on a sensation in the body (such as breath), and “letting go” of thoughts, one can separate thoughts (in the head) from feelings (in the body). This exercise can be hugely beneficial in addressing certain emotions. For example, often times negative thoughts arising in the mind can trigger negative feelings or emotions. These feelings or emotions are said to have an actual, physical location in the body. Our mind may react to these negative feelings in the body, further heightening the negative thoughts in our head and, in return, adding to the negative feelings in the body. This sort of negative feedback loop can quickly lead to a feeling of overwhelm, even panic. As mentioned above, separating the thoughts and feelings by focusing on a neutral sensation in the body, such as breath, and letting go of the thoughts, can break the negative feedback loop and dissolve the overwhelm or panic. Meditation is a practice to help increase mindfulness in everyday living. It is like practicing driving in the parking lot before going out on the freeway. Even five minutes of meditation per day can be extremely helpful. In just one session together, I can introduce you to the basics of mindfulness meditation, an invaluable life tool. Try the following, three minute Mindfulness Meditation exercise, from the UCLA Semel Institute.